This season marks the third time acclaimed violinist Ani Kavafian will participate in the Geneva Music Festival (GMF). 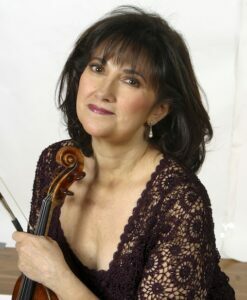 A concert artist and professor of violin at Yale University, Kavafian has performed with virtually all of America’s leading orchestras, including the New York Philharmonic, Philadelphia Symphony Orchestra, Cleveland Symphony Orchestra, Los Angeles Chamber Orchestra, Detroit Symphony Orchestra, San Francisco Symphony Orchestra, and many others. 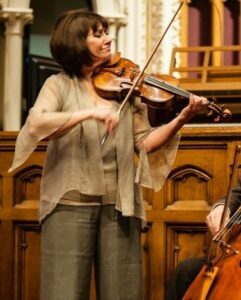 She is a renowned chamber musician, and has performed with the Chamber Music Society of Lincoln Center since 1979. Her numerous solo recital engagements include performances at New York’s Carnegie and Alice Tully halls, as well as in major venues across the country. In the season’s chamber music finale, she will join cellist Clive Greensmith to perform some of the most exciting works of chamber music with GMF founding artists Geoffry Herd, Hannah Collins and Eliot Heaton. The concert, “Slavic Serenade,” will feature audience favorites, including Dvorak’s Piano Quintet and Shostakovich’s Octet. “Slavic Serenade” will take place on Friday, June 16 at the First Presbyterian Church of Skaneateles, and on Saturday, June 17 at the Gearan Center for Performing Arts. Hear more about Kavafian in her own words in this video. Tickets for adult admission to all concerts and an after-concert reception are $25 (ages 18 and under are free). Six-concert passes and season tickets only are available until the first concert, in Geneva on June 1, and may be purchased online prior to or in person at that concert. All venues are wheelchair accessible and air conditioned.